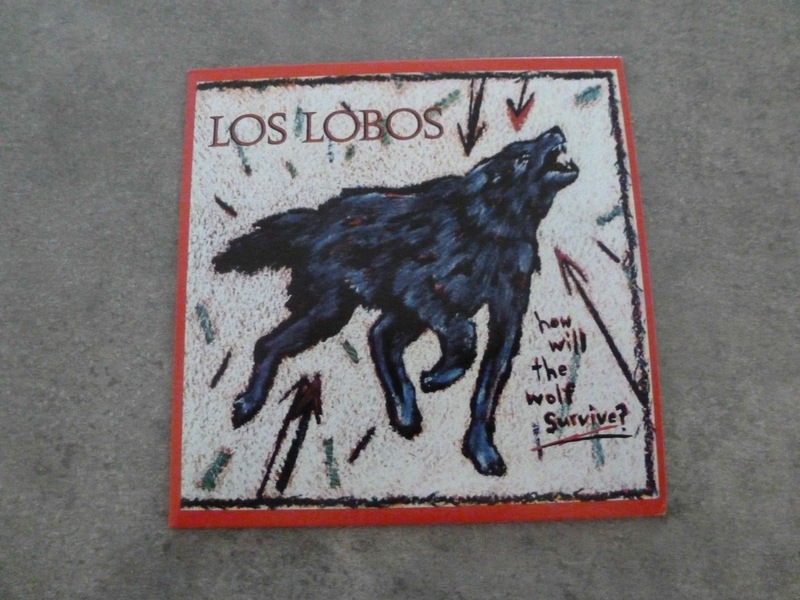 It may have peaked at #47 on the Billboard Albums chart with the single reaching the lofty heights of #78 on the Billboard Top 100, but the major label debut from Los Lobos certainly carved the band a viable niche in the musical environment around them. Granted, it’s a niche that draws on a cult following and critical acclaim, and one that didn’t (apart from their status as the La Bamba band) translate into anything resembling mass market success, but that’s in the nature of the niche, isn’t it? ...And a Time to Dance had established the band’s credentials on the good time party band you can get down to side of things if you were on board from the start (which I wasn’t, hence initial misgivings many years ago) but with the major label debut it was time to reveal the outfit as a dance band plus, pointing towards an eclecticism that took a while to work through. The result was an offering that blended danceable R&B, heartfelt ballads, traditional Mexican influences, down and dirty roots rock, and a swag of seasoned salsa. Inspiration for the title and the title track came from a National Geographic article entitled "Where Can the Wolf Survive", a pertinent question for a bunch of Hispanic musos trying to find a niche while maintaining contact with their Latino roots. Starting with a T-Bone Burnett/Louie Perez/Cesar Rosas composition rather than something from the more prolific Hidalgo/Perez combination, the album kicks off with a straight-ahead jump electric blues in Don't Worry Baby, stomping away in search of a good time with a darker twist (Life is a fight/And then you die), but don’t worry, maintain the faith and we’ll get through. It’s much the same with the migrant worker crossing the border in search of a better life in A Matter of Time. There’ll be a temporary separation from the family, but don’t worry, it’ll all work out, We will be alright/And we’ll all be together/It’s just a matter of time. It’s a compassionate look at the concerns of illegal aliens whose status underpins the bottom rungs of the American economy. Mexican norteño with guitarron, bajo sexto and Hidalgo’s accordion comes to the fore in Cesar Rosas’ Corrido #1, a giddy blend of traditional grooves and good old rock’n’roll that works a treat and shows what The Wolves had been putting down in their own community over the years before they hit the (relative) big time and the same is true of the break-up song that follows. Our Last Night, contrary to what you might expect when you’re talking termination of relationships isn’t one of those crying into the beer efforts, more a rock and roll it now and we’ll figure out where we’re going in the morning sort of thing. Burnett, Hidalgo and Perez get the writing credit for The Breakdown, four minutes of accordion led feel good until you listen to the lyrics two-step, then it’s off to a seven day version of Saturday night or its equivalent for I Got Loaded’s Cajun R&B grooves (it’s a Little Bob & The Lollipops cover). Steve Berlin’s sax work, and masses percussive handclaps deliver a definite feel all right factor, though one wonders how things are going to look in the cold hard light of morning. Things take a more serious turn for Evangeline, a tale of a missing seventeen-year-old runaway that still manages to rock along as Hidalgo croons the lyrics about the queen of make believe gone missing after going out dancing on Saturday night. Rosas is front and centre for I Got to Let You Know‘s two and a half minutes of Mexican punkabilly, and we’re in folklorico territory for the instrumental Lil' King of Everything before Will the Wolf Survive, which kicks off with a joyous thump on the drums. Over jangling guitars Hidalgo invokes the chill of winter/Running across a frozen lake/Hunters hot on his tail/All odds are against him/With a family to provide for/The one thing he must keep alive/Will the wolf survive? It’s a good question as the wolf is allegorically transformed into Mexican immigrants (and, I guess, young Hispanic musicians) trying to figure out a way to survive and provide for a family while on the run and maintaining a low profile. It’s going on for thirty years since How Will the Wolf Survive? 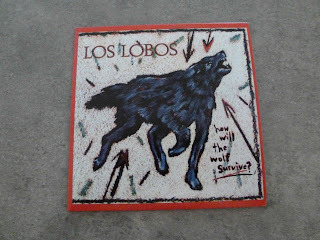 appeared in the shops, and Los Lobos have, over the intervening decades demonstrated exemplary musical taste, with an eclectic virtuosity that’s rarely flashy, world-class musicians who meld a diverse range of genres into a seamless whole.